Vince Briffa is a researcher and multi media artist. He produces gallery and site-specific artwork, objects and installations which integrate drawing, painting, text, photography, sculpture and the moving image. He is also a curator of contemporary art exhibitions, guest writer for various local and international publications and organiser of discussions, exhibitions and art residencies. He was awarded a PhD by the University of Central Lancashire in the UK in 2009 and an MA in Fine Arts with distinction from the University of Leeds in 2000. He was also artist in residence at the Edinburgh College of Art, Scotland in 1996 and is also a recipient of the Civitella Ranieri Fellowship, with residency in 2018. Having studied drawing and painting as well as digital media, he investigates the integration of digital media and traditional artistic practices to establish a vehicle that seamlessly communicates the artistic concept. Apart from notions that draw from contemporary artistic and aesthetic concerns, his trans-mediatic work often integrates approaches and concerns from the areas of sociology, advertising, film studies, literature and philosophy. Over the past thirty five years, Briffa’s work has been exhibited in some of the world’s most prestigious museums and galleries. He has also been chosen to represent Malta in many international exhibitions, including the Venice Biennale (1999) amongst others, and his work forms part of many local and international private and public collections. As an academic, he is an Associate of the Electronic and Digital Arts Unit (EDAU) of the University of Central Lancashire, an affiliate of the Centre for Moving Image Research, University of the West of England, Bristol, and a visiting academic at the Visual Institute of the University of Kaposvár, Hungary. He is also the external examiner for the Bradford Film School, Teesside University, UK. Since his appointment as Head of Department of Digital Arts within the Faculty of Media and Knowledge Sciences in 2011, Vince has written, taught and led a Master of Fine Arts (MFA) in Digital Arts and a Bachelor of Fine Art (BFA) in Digital Arts. He also supervises PhD candidates, Practice-based Master’s Projects and Dissertations, Master’s by Research candidates and Undergraduate dissertations. He also lectures on the MaKS Bachelor of Communications (Hons) undergraduate degree, on the Foundation Diploma in Design of the Faculty of Built Environment and on the B.Ed. (Hons) course of the Faculty of Education. In 2011, Briffa also introduced and organized the DigiMaks, practice based evening lectures for the Faculty which is now also in its fifth year. 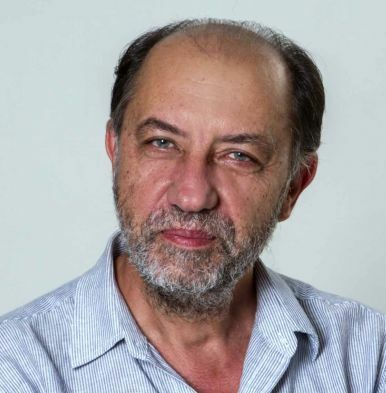 Vince Briffa has been involved in the creative industries for the past thirty years and was instrumental in launching computer graphics for television broadcast in Malta in the late 1980s. The (inter)national (inter)face of (inter)action – a look at some of the technologically interactive works at the 52nd International Venice Biennale, Art In-Sight: Artists’ Film, Video and Installation, Filmwaves, Issue 35, Obraz Productions Ltd., Spring 2008, pp. 14-18. Choosing Malta’s photographers for the “Rencontres de la Photographie d’Arles”, Lensculture, Photography and Shared Territories, Summer 2008. Ebba’s Sketchbook, Ebba von Fersen Balzan, Choppy Books, 2008, p. 177. No. 68 Redprints: The house that is destined for memories and the memories that are meant for a house, Alexandra Pace: Redprints exhibition catalogue, 2008. Amid the Mundane and the Extreme, NY Arts Magazine, Vol 13 No. 11/12, Nov. 2008, pp. 98-99.